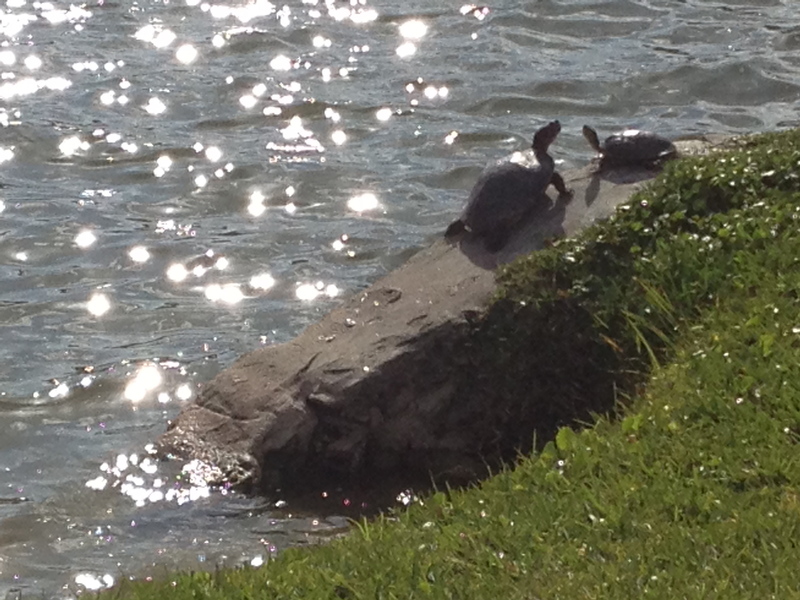 I was delighted to finally catch a glimpse of these turtles basking in the sun. When my mother-in-law was visiting last November she was fortunate to see them her first time visiting. I have been frequenting Lake Mirror for almost a year and had not caught them! So happy to see them. By the way, my mom was with me when I caught these. It was only her second time visiting the lake. I am a turtle saver by nature. I have stopped traffic to save turtles. It’s in my blood.